Welcome to The Home of Better Dust Collection. Pulse-Bac started over 15 years ago when our founder’s passion for taking what he saw and making it better lead to a discovery. Our founder, David McCutchen, noticed something very simple that most people tended to overlook or simply accepted as the norm. What was this simple thing? 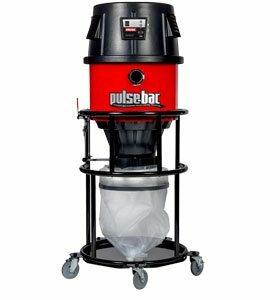 The almost inescapable loss of suction that occurred with most vacuums used in the construction industry. This of course was caused by the filter becoming clogged with fine dust and debris and cutting off the airflow to the vacuum motor. That’s when David set to work. Tinkering in his barn he came up with a lot of different solutions, some better than others. It wasn’t until a simple mistake happen one night that everything came together. When testing a design David forgot to hook up a couple of electrical leads. So a component he had previously thought to be critical simply didn’t come on, but what did happen amazed him. The force of the physics at work “pulsed” the dust off the filter, better than anything else he’d tried and in that moment Pulse-Bac was born. 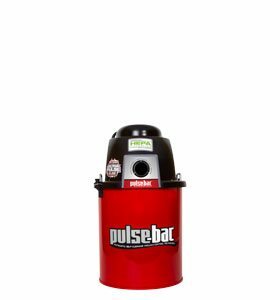 Today Pulse-Bac is a readily available brand that offers innovative, high-quality products with 15 patents under our belt for the innovations found in our vacuums. The spirit of innovation instilled by our founder is alive and growing every day at Pulse-Bac. Our engineers and production teams are always working to find the next feature that will make our products better for our customers. 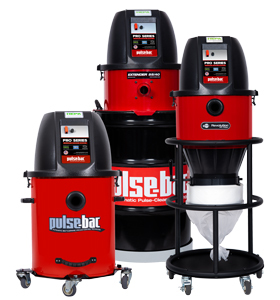 We are dedicated to helping professionals in many different industries find the best dust collection solutions that will increase their productivity and protect their health. We’re also very proud that all of our products are produced in our Tulsa, Oklahoma factory not far from where it all started. Our employees are enthusiastic about making sure that the products we make and the service we provide exceed our customer’s expectations. So welcome, have a look around and let us know when you’re ready to come home to better dust collection.